On this very special edition of “Back at the Lodge with Jim and Michelle” (available on iTunes and Stitcher Radio) we have a beloved guest on air with us – Jim’s daughter Elsie!! Elsie is normally extremely talkative, but we had to encourage her to chat it up with us on the podcast. 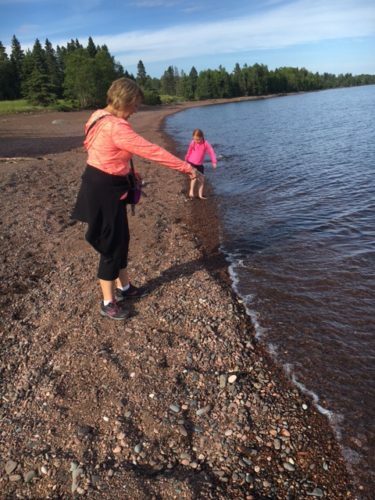 The Braaten family recently returned from a trip “up north” aka The North Shore of Minnesota, so Jim and Elsie shared with us their favorite memories. 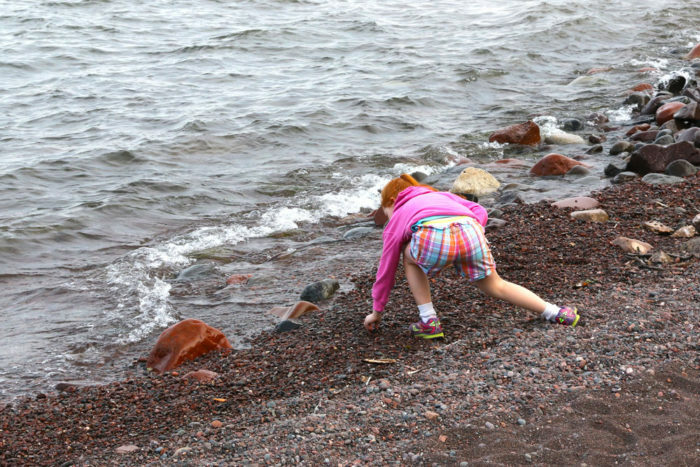 Elise finding those pretty rocks!! Poutine still sounds digesting, but here’s a link if you want to make it. Gneiss is another cool rock, a metamorphic rock, also found along Lake Superior that Jim mentioned. Wisconsin Dells is the essential vacationing spot if you are from Illinois. And there is way more to it than just the waterparks. Here’s my “Adventures on a Budget” article I mentioned in Sportsman’s News magazine. Later in the show, Elsie gave us a play-by-play of her first turkey hunt with dad. Those are special memories!!! Thank you for listening and we’d love a review in iTunes or Stitcher Radio!